PHILADELPHIA - Mayor Jim Kenney and the Philadelphia Department of Commerce will join a coalition of Philadelphia startups, corporations, musicians, and other partners in Austin, Texas at the SXSW Interactive & Music Festival this March. The Amplify Philly initiative will promote Philadelphia as a hub for innovation, highlighting the companies, music, and technologies created here. "I am excited the City will once again be part of Amplify Philly's collaborative effort at SXSW," said Mayor Kenney. "This initiative is proof of what can be accomplished through a successful public-private partnership. The investment being made by our corporate partners and anchor institutions shows a commitment to Philadelphia's tech and entrepreneurial community. The City is thrilled to participate in one of the most influential tech conferences in the world, and I am personally looking forward to sharing with so many budding entrepreneurs why Philadelphia is the place to grow their business." Mayor Kenney is joining other mayors from across the country for The United States Conference of Mayors track during opening weekend of the 2017 SXSW Interactive Festival. The mayoral track connects several of the nation's forward-thinking mayors with top innovators in the technology, entrepreneurship, media, nonprofit, philanthropy and creative sectors. In addition to individual and group meetings with industry leaders, Mayor Kenney will also take part in a panel discussion focused on the economic, social and cultural impact of extreme immigration policy on cities like Philadelphia. The panel, Building Bridges When Others Want to Build Walls, takes place on Saturday, March 11. 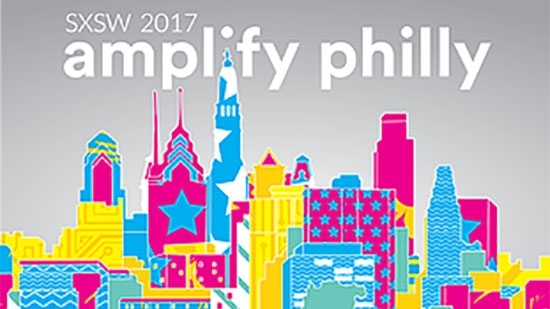 On Sunday, March 12, Mayor Kenney will attend the SXSW Tradeshow to visit the Amplify Philly activation. The Philadelphia Department of Commerce, through its StartupPHL platform, will attend the festival and exhibit as part of the Amplify Philly booth. For the second consecutive year, Amplify Philly is coordinating Philadelphia's presence at SXSW. The 2017 initiative, organized by Philly Startup Leaders and REC Philly, is made possible through the support of 15 sponsors, including: StartupPHL, Comcast, University City Science Center, Guru, Zivtech, Ben Franklin Technology Partners, Chariot Solutions, Children's Hospital of Philadelphia, University of Pennsylvania, Temple University, Visit Philadelphia, Philadelphia Convention & Visitors Bureau, Brandywine Realty Trust, Safeguard Scientifics, and CoStar360. This year, 18 Philadelphia companies will be exhibiting at the SXSW Tradeshow as part of the Amplify Philly activation: BioRealize, Boost Linguistics, Chariot Solutions, Comcast, Cosy, Eventuosity, Iqinetics, Keriton, LIA Diagnostics, MLeads, Neuroflow, Oat Foundry, Oncora, ROAR for Good, SafeStamp, Social Ladder, Stratis, and Zivtech. Amplify Philly will also promote Philadelphia to the SXSW audience through two additional activities - a happy hour event and concert. The happy hour and accompanying interactive event on Monday, March 13 will feature entertainment by Philadelphia music legend DJ Jazzy Jeff. Invited guests will have the opportunity to network with Amplify Philly sponsors and participating companies. On Tuesday, March 14, the Amplify Philly Official Music Showcase will spotlight local talent, including: Bilal, DJ Aktive, Good Girl, The Districts, Son Little, The Dove & The Wolf, Julian King, and Queen of Jeans. The concert is open to all SXSW badge holders. Additional details about the Amplify Philly initiative will be made available on AmplifyPhilly.com. Mayor Kenney's public schedule will be released daily while he is in Austin.